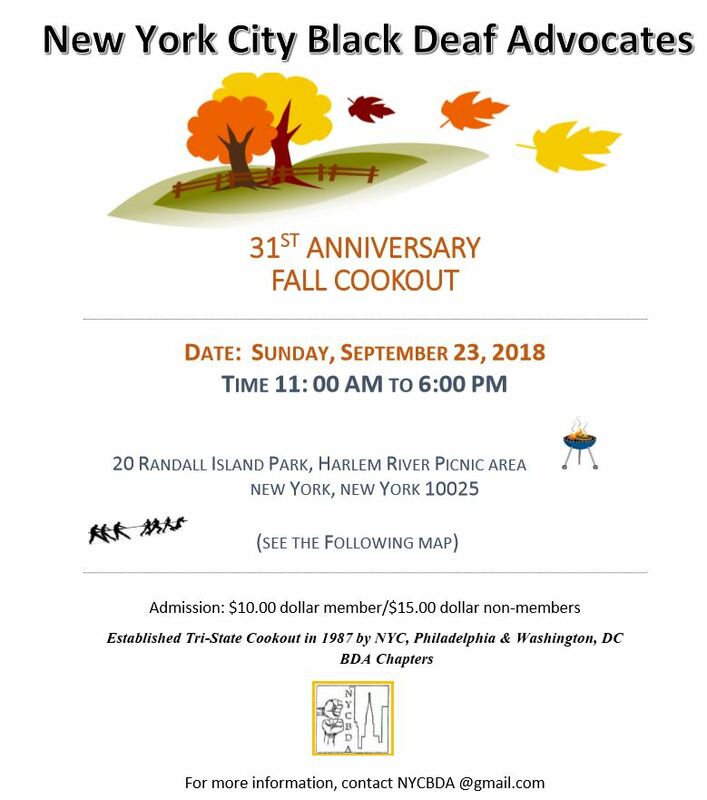 NYCBDA is proud to host the 31st Anniversary Cookout. We established the first Tri-State BDA Chapters Cookout by Mr. Thomas Samuels, a long time NYCBDA member. Philadelphia and Washington, DC were also part of this first group with NYCBDA since the Summer of 1987. Bring your chair, blanket, and tennis shoe for the games. Come out to join us this celebration!! Everyone is welcome! SINGO! Games, Fun and Prizes!